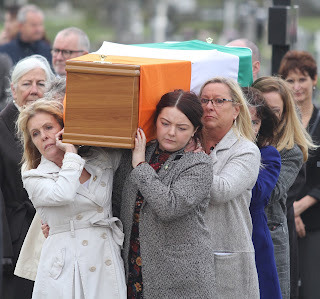 Léargas: Tish Holland – a practical patriot. Tish Holland – a practical patriot. Teresa Holland – Lunney – died last week. Better known as Tish she was the youngest woman ever interned by the British in the 1970s. She was aged 17 when arrested in February 1973 and imprisoned in Armagh prison without charge or trial. Tish was also the longest serving woman internee. She was a strong woman - a bright, intelligent, immensely able woman. She knew she was dying. She faced up to that challenge with the same courage and grace that marked her life as a republican and community activist. I visited Tish the Sunday before she died. Despite the pain and knowing how ill she was, Tish was still Tish. She was calm. Relaxed. In the last weeks of her life Tish’s thoughts were for others. There was a positivity about her approach to death. Along with her husband Phil and her good friend and close comrade Alex Maskey she planned her funeral. That’s why I gave the oration. I was under orders from Tish. Positivity was Tish’s essential philosophy of life. The hippy in her had little time for negativity. She wanted her wake and funeral to be a celebration of her life. No long faces. Phil was the love of Tish’s life. They were married for 29 years. Phil demonstrated great courage and resilience as he came to terms with Tish’s Tomás and Nuala are the shining lights of Phil and Tish’s love. They are a credit to their parents and Tish loved and cherished them both. Tish’s politics were shaped by the world about her, by her family, her community, her class, her gender and her life experience. She was very conscious of discrimination and injustice. 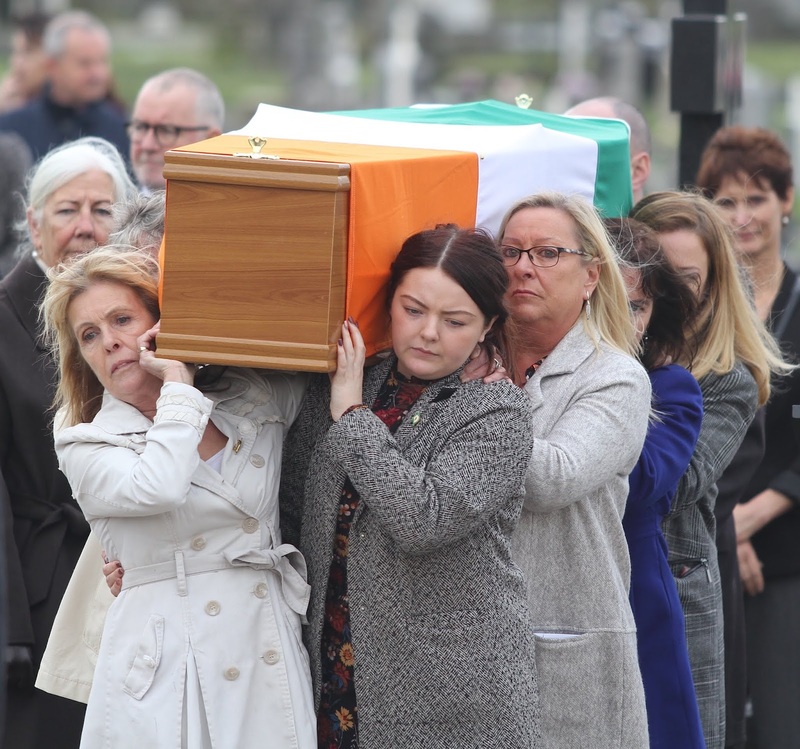 She was politicised by the events of 1969, the battle of the Bogside, and the pogroms of that August. 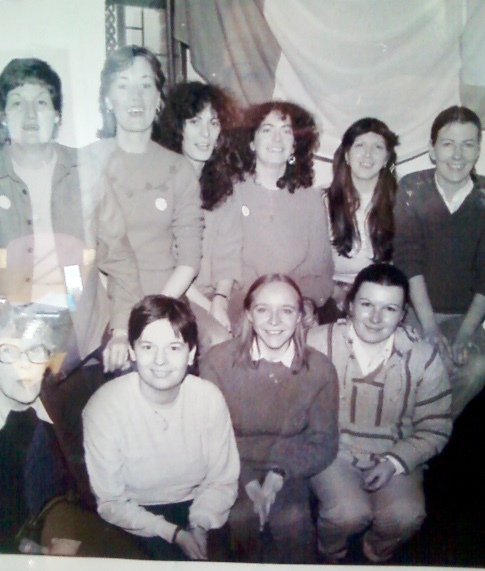 She was inspired by the actions of Maire Drumm, Marie Moore and the hundreds of women who broke the Falls Curfew in 1970. And she was angered and outraged by the actions of the RUC and British Army. Tish’s response was to join the IRA. They were difficult and dangerous times. In July 1972 the British launched Operation Motorman. It was the violent occupation of nationalist communities using thousands of soldiers. Tish went on the run. On 29 December 1972 Liz McKee - a close friend and comrade to Tish – was arrested and imprisoned in Armagh prison. Liz was the first women internee. Tish was the second. Within weeks Liz and Tish and three others made a bid for freedom. But the alarm was raised by a prison officer who had noticed that there was a bar missing in Tish’s cell window. The five were caught and ended up on the boards. Tish and her comrades were undaunted. In October 1974 Republican POWs in Long Kesh burned the camp to the ground. Hand to hand fighting took place between the POWs and British soldiers. Scores of prisoners were injured, some seriously. The morning after the women in Armagh took the prison governor and two of his staff hostage. They demanded confirmation that their injured comrades in Long Kesh had access to proper medical treatment. That evening the prison chaplain, Fr. 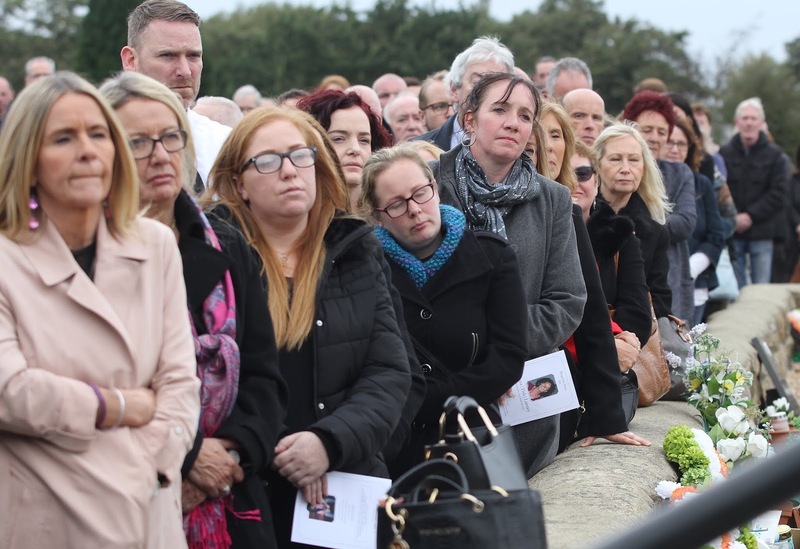 Raymond Murray, assured the women that the prisoners in Long Kesh were receiving medical treatment, including treatment at hospitals in Belfast for the most seriously injured. The governor was released and the women returned to their cells. 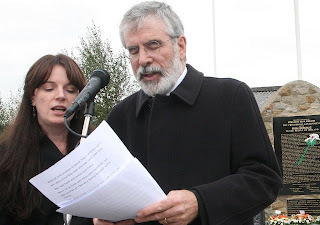 After her release from Armagh prison in the summer of 1975 Tish emerged as a first class Sinn Féin activist. In 1979 she was one of those who established the party’s first Women’s Department in Belfast. During the Fermanagh South Tyrone by-election campaign for Bobby Sands in April and May 1981 Tish worked in the Dungannon office. Later she spent time in Leitrim working in the campaign for Joe McDonnell. 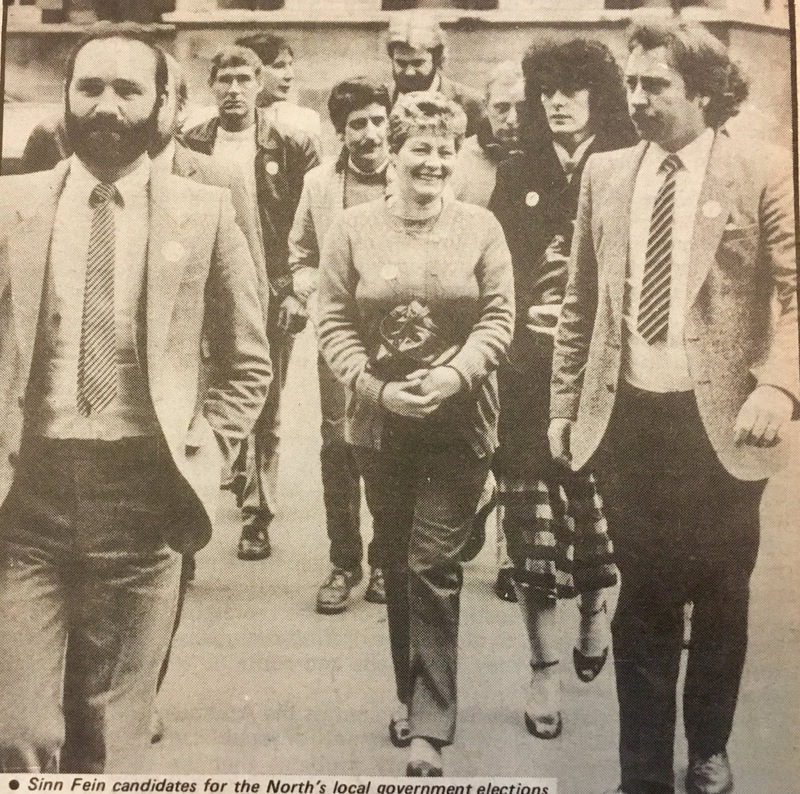 In the Assembly elections of 1982 Tish was our Director of Canvas for the west of the City. She predicted that in west Belfast Sinn Féin would take around 10,000 votes. When the votes were counted Alex and I had 10,367 votes. It was a remarkable result in a first time election by Sinn Fein. It was an equally impressive prediction by our first time Director of Canvas. In 1985 Tish was one of seven Sinn Féin Councillors who won seats in Belfast – Alex, Sean, Bobby Lavery, Lilly Fitzsimons, Sean Keenan, Gerard McGuigan and Tish. It was a stunning victory for Sinn Féin. It sparked a vicious campaign by unionist Councillors to deny Sinn Fein representatives any real say in the running of the council. Tish and her six comrades ran a daily gauntlet of physical and verbal threats and abuse. They were denied speaking rights in the Chamber. They were shouted down. Deodorant and other sprays were used against them. 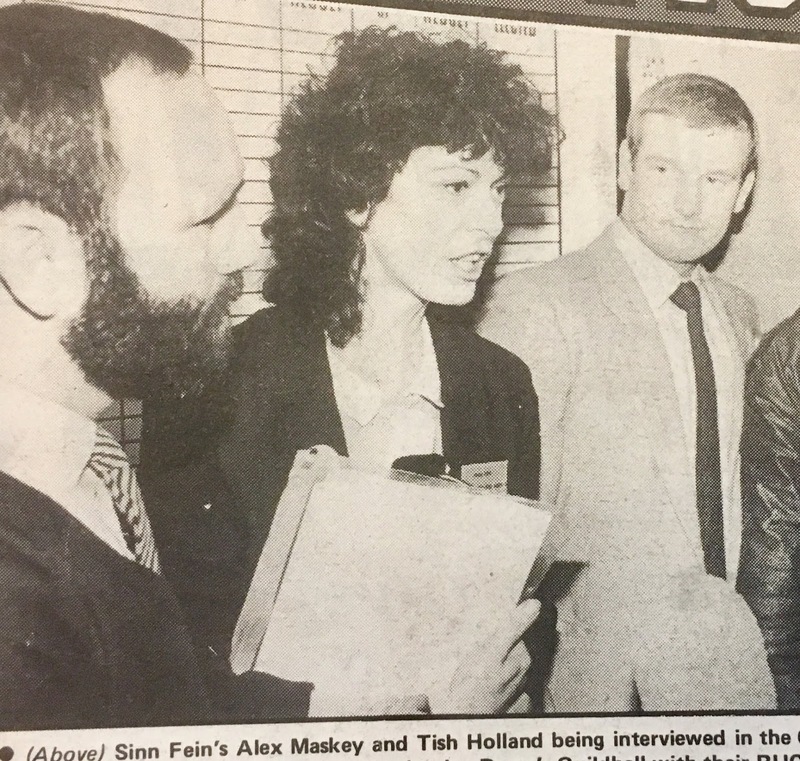 It was a dangerous time for Sinn Féin members. During the eight years Tish was a Councillor three Sinn Féin Councillors were shot dead; John Davey, Eddie Fullerton and Bernard O’Hagan. 14 party members were killed in that period. Family homes and offices were attacked, including the party room in the City Hall. After two terms in the Council Tish decided not to stand again in order to concentrate her considerable energy and talents on community work. Tish loved west Belfast. She loved its people. She especially loved upper Andytown and Lenadoon. Tish used her skills in networking and campaigning to persuade others to invest in Upper Andersonstown. She was a very practical patriot. As a result, the Tullymore Community Centre was opened in 2000. In 2000 they won the Aisling Award for Community Endeavour and again in 2012, and in 2013 the All Ireland Pride of Place Community Award. Tish was an unapologetic united Irelander. She was a leader - a team player and a team builder. She was a woman of compassion – who believed in equality and in citizens’ rights. She loved her family and she loved her country. Tish’s loss will be felt most by her family. By Phil, Nuala, Tomás and all her brothers and sisters. But I hope they take strength too from the fact that there are so many others grieving with them. I heard a great version of Four Green Fields recently. It had a new chorus. A kick in the arse for the patriarchy. And a huge hurrah for the matriarchy. It was made for Tish and our wonderful republican women.